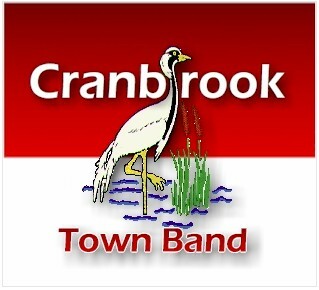 The Band, which shall be known as the Cranbrook Town Band, exists for the benefit and musical enjoyment of the members, to promote the cause of Brass Bands, and to enhance the cultural activities of the locality. The objective of the Band is to improve the musical ability of its members and to give encouragement to the development of young musicians both within the Band and in neighbouring schools. The Band will endeavour to provide all its members with instruments. The Band shall be independent and self-supporting, charging a fee for all engagements, except that, at the Committee’s discretion, the fee may be reduced or waived for charitable events. Anyone may apply for membership of the Band. He/she will play as directed by the Musical Director, subject to the approval of the Committee. An annual subscription shall be paid. All paid-up members will be eligible to vote at General Meetings and eligible for election to the Committee. The Band expects a high level of attendance and commitment to rehearsals, home practice and engagements. A high standard of dress on engagements and contests, of punctuality and personal conduct, and in the care of the Band’s music and equipment is required at all times. Termination of membership shall be at the discretion of the Committee, if, after due consultation and warning, a member fails to satisfy the above criteria. Subscriptions will be paid annually. Rates will be set each year and agreed by majority vote at the Annual General Meeting. Subscriptions become payable immediately following the A.G.M., but may be paid weekly, quarterly, or annually. If annually, they should be paid within two months. Members in arrears of more than two months are not eligible to vote at meetings. At the A.G.M. the Officers, Functionary Officials and Committee of the Band shall be elected each year from the members. The Officers to be elected are as follows : Chairperson, Hon. Secretary, Hon. Treasurer. The Functionary Officials to be elected are as follows : Band Manager, Librarian, Concert Secretary, Contest Secretary, Assistant Treasurer. The Committee shall consist of the Officers of the Band, the Band Manager, two senior members, a parents’ representative and a junior member. Functionary officials and the Musical Director may be co-opted to the Committee or invited to particular meetings. No more than one member of a given family may be elected. The Band Committee will deal with all matters relating to the Band and the management of its activities. Wherever practicable the Committee will canvass opinion of all Band members on important issues. However, committee decisions are final. Decisions will be reached after full discussion by majority vote. All decisions must be carried by a majority of the elected and/or co-opted/invited Committee Members and a quorum of six must be present at any one meeting. Committee Meetings will be held monthly if required (but not less than quarterly) under the direction of the Chairperson. In the Chairperson’s absence the Committee present will elect a Chairperson for that meeting. All present at meetings should have equal opportunity to voice their point of view prior to proposals being accepted by the Chair. All proposals should be proposed and seconded before voting , the Chairperson having a casting vote in the event of a tie. Minutes of the Committee Meetings shall be kept by the Secretary and be accessible to all members on request. Committee members who fail to attend a minimum of 50% of the scheduled meetings will not normally be eligible for re-election the following year. The Band will hold an Annual General Meeting in February or March each year. An Emergency General Meeting may be called by any member of the Band, if they have the support of two other members and have notified the Committee in writing at least two weeks prior to the proposed date of the Emergency Meeting. The Band shall appoint three Trustees to have responsibility for the disposal, in accordance with the winding-up conditions, of the assets of the Band. One Trustee is to be elected from the current members. In the event of one ore more of the Trustees dying or resigning after the Band ceases to operate and before the assets are disposed of in accordance with the winding up provisions below, (a) replacement(s) shall be appointed by the last Committee of the Band. Changes to the Policy, Constitution or Rules of the Band must be voted on by the full membership, a simple majority vote deciding. The Chairperson shall decide questions of interpretation of the Constitution. His/her ruling shall be final.